In 2013, Montreal said goodbye to its fashion week. In 2014, Ottawa did the same, and now a little over a month ago, Toronto has officially followed suit. How much longer are we going to wait for Vancouver to shut down their respective fashion week? But more importantly, how much longer are we going to allow our Canadian fashion industry to continue collapsing? Calling all fashion designers, bloggers, enthusiasts and those who just simply support us fashion heads. As we all know the big nation in which we reside in, once had many fashion outlets for up and coming fashion designers known as fashion week. Fashion week was found in the four major cities in Canada; Montreal, Ottawa, Toronto and Vancouver (along with Western Canada fashion week and Atlantic fashion week). Canadian fashion designers may be one of the most devalued and unsupported workers in this country. From unpromising support, small market (something we can't control unfortunately) and an unestablished industry. If we as Canadian fashion enthusiasts would like to put an end to this misfortune and fight for the rights of our careers and industry, it is time we put our foot down. Too many of us are taking this industry too lightly and as a hobby - fashion is not to be taken lightly. Fashion is an art, fashion is culture, fashion is an identity, fashion is a multi-million dollar business around the world - fashion is what many need in order to survive. We need to start educating ourselves on the history of this industry and seeing how the four fashion capitals (New York, London, Milan and Paris) came to be and save our industry. As a school of Journalism and Communications major who has never taken a course in international business, there's not much I can discuss in terms of the business side of this industry. But I can certainly discuss the history and logistics of the industry -- something that I've been hoping to get across to all my fellow fashion enthusiasts. First thing's first -- our industry will NOT move forward and I repeat will NEVER move forward without a fashion council in place. 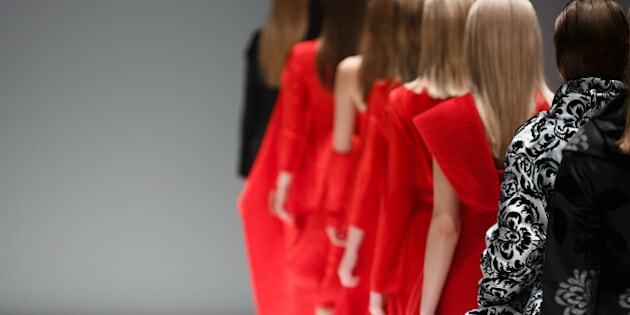 For those of you who are not sure of what a fashion council is, it is the hub that governs the entire body of the fashion industry in major fashion countries. In the United States there's the CFDA (Council of Fashion Designers of America), in England there's BFC (British Fashion Council), in Italy there's Camera Nazionale della Moda Italiana and in France there is the Federation Francaise des Coturiers. Each of these councils hold a very important role for the fashion industry of each nation -- the fashion council is what governs the industry, promotes it and nourishes its up and coming generation. Along with being the founder of fashion week (known as Press Week back in 1943) Eleanor Lamber was also the founder of the successful and prominent CFDA. Created during a time when American fashion designers, just like Canadians, had little to no opportunities. The CFDA is now what defends and protects the rights of the American fashion industry and its workers. What are some of the benefits of having a council? First and foremost it is our God-given right as an industry, to have a council/sector just like any other industry. Fashion councils are also for non-profit organizations, that are funded by the federal government yearly. With the council being for non-profit that allows businesses and corporations the ability to sponsor more fashion outlets and events, due to all of our mediums being owned by the council. Which is one of the main reasons, things such as Toronto fashion week and many other fashion weeks did not survive here in Canada. Canada did once have a Canadian fashion council, it was started by Robin Kay who was also the founder of Toronto fashion week. In 2012 Robin Kay then sold Toronto fashion week, to American production company IMG -- due to the big production standards that IMG holds and the lack of funding Toronto fashion week was receiving, IMG pulled the plug on Toronto fashion week. It is my understanding that the federal government has no interest in supporting the fashion industry financially. But if we put forth the right action plan, come together as one Canadian fashion industry (not as the Toronto fashion scene, Montreal fashion, Vancouver fashion scene etc.) and fight for our right to be creative and successful right here at home, I strongly believe that we could possibly see some change come into place. Enough whining about people not caring or the government not providing funds -- we need to take matters into our own hands and show society that this is what most of us need in order to survive and this time we are not backing out easily. Panel discussions, social media posts, petitions and spreading awareness is what we need to do and most importantly uniting as one is the only way we can rebuild our industry and start off on a clean slate.